It’s not every day that Virat Kohli is found wanting. 68 off 26 balls and one would back RCB to record the first win of the season. Even with Andre “Terminator” Russell still to come! A few days ago the Indian skipper retained the ICC test championship and since then there hasn’t been much to cheer about other than his personal form. Yes, by Kohli’s standards! 4 games without a big score is a mini-slump for Kohli. He is the wolf who hunted for the pack. But is the outfit responding suitably enough? It’s not easy being Kohli. He turns out in national colours leading some of the most talented bunch of cricketers in the world. He has the world’s best opening batsmen, the world’s best bowler, a legendary finisher, exciting all-rounders and the world’s best spin duo to boot. And then you switch gears to the Royal Challengers Bangalore and he has ABD and Chahal for company. Does the buck stop there? Cricket writers have a compelling situation when a team sees a dip in form. They have to be masterful enough to do a post-mortem of all that has gone by. Yet, all that hindsight can be a handicap. Writing cricketing obituaries is a cardinal sin given the nature of the sport. Certainly, RCB doesn’t need one or deserve one yet. Somehow, having played this sport for as long as I can remember, this lean phase for Kohli as a skipper will do him a world of good. And I’ll tell you, NO, convince you why! 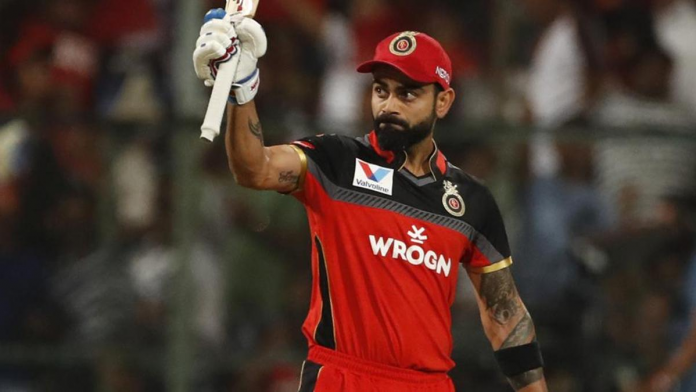 With 20000+ runs in international cricket and tons of counter-attacking wins being shepherded by him single-handedly, this IPL captaincy slump won’t even slightly ruffle the mental fabric of Kohli. At this juncture in his career, he is bound to think beyond the obvious and make things happen for RCB. In the matches to come, we will see some inspired bowling changes, wacky field-sets and some imperious batting. Mark my words when I say that in his mind’s eye he visualizes making his team win all by himself. And the sport’s aficionados will agree he has the wherewithal to do that too. Amidst the glitzy media frenzy, berserk fans and drooping shoulders King Virat Kohli is sharpening his wares. The sweet spot on his bat assumes an ominous cherry red demeanour. There will be a lot more urgency in the sprints. And he knows the importance of being at it every day with 200% efforts despite all the outcry of advice, needless pep-talk and sympathy. He has grown up playing the game harder every single day. It’s not going to be any different with Kohli. Gautam Gambhir remarked once that it’s a miracle Kohli has survived at RCB despite not winning a single IPL. And eyebrows might be raised when I say any other player instead of Virat Kohli would have been shown the doors. Think of the biggest names in world sport and they would have had a very tough time. It’s not his runs, stature or his brand name that makes him an asset for RCB. Instead, it’s the way he prepares every single day like he has just begun. The professionalism and work ethics that he brings to brand RCB is quite simply non-transferable. With 9 matches to go, Virat Kohli & Co. have their backs to the wall. It might all look downhill for RCB at the moment. Yet, it’s beautiful to behold the situation right now! Virat Kohli is itching to take the attack to the opposition as we saw a glimpse of that last night. And here’s a team now playing with nothing to lose! Virat Kohli has already set the bar very high with his style of play and this lean patch will bring about an even leaner, meaner and fitter run-machine of a man called Virat Kohli! Next articleSix habits that seem to be good but are not!